The classic tales of romance and passion in The 1001 Arabian Nights still ignite imaginations centuries after they were written. Within them we learn of the vibrant life of Baghdad, Damascus, and Cairo in the 9th century—and of its many appetites. Food in these stories is currency, temptation, sustenance, and more.In this treasure trove are Aladdin and his magic lamp, outrageous accounts of philandering spouses who get their comeuppance, wealthy merchants, poor beggars, and beautiful women who bring out the best and worst in their men. 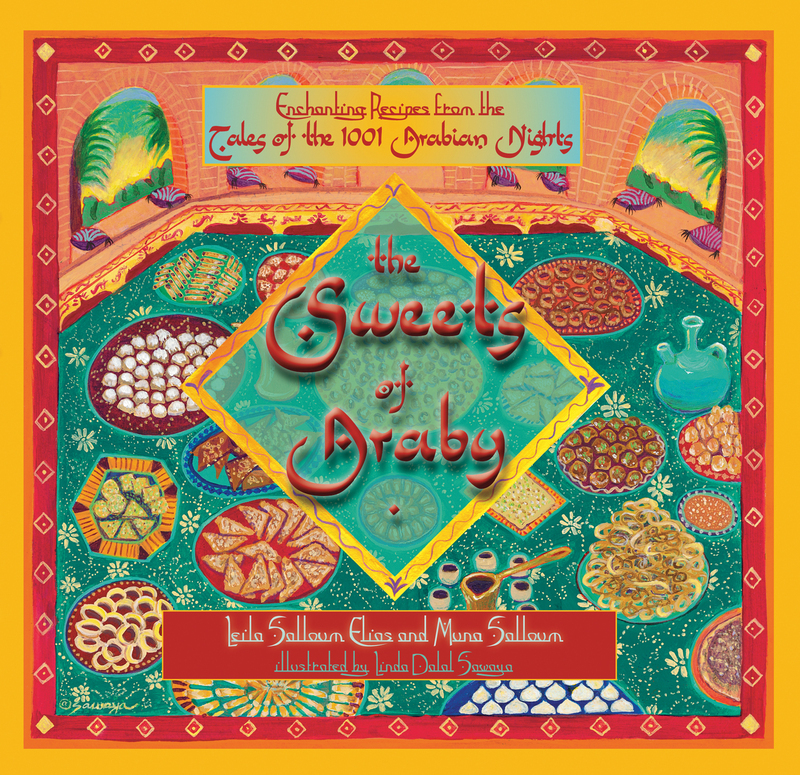 And with the accompanying recipes you’ll enjoy creating succulent, exquisite morsels to delight those lucky enough to taste them.The Sweets of Araby is a wondrous literary and culinary gem that will take its place among your favorite books and cookbooks. Let it inspire you to create delicacies that will dazzle, excite, and seduce your family and friends.